The latest beta version (2.19.21) submitted through the Google Play Beta Program features a new emoji layout for as many as 21 existing emojis on the Android app. 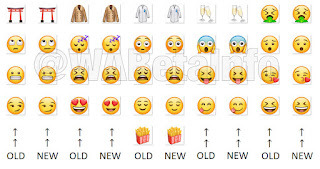 You won't notice any drastic changes here as the emojis feature minute changes in colour and design details. 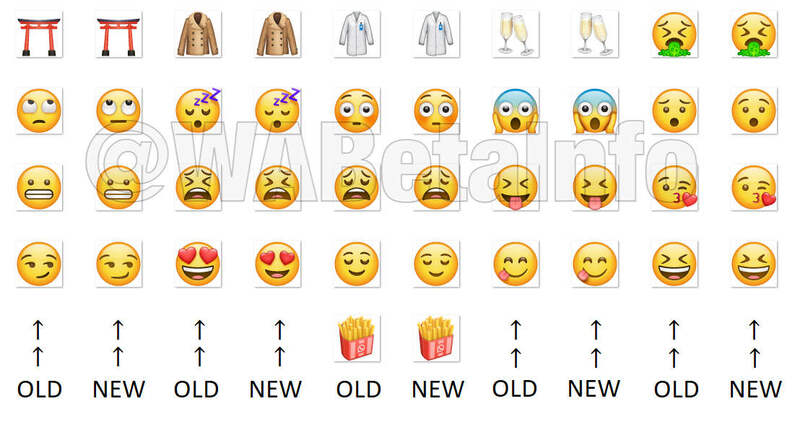 As per a blog post by WABetaInfo, a source known to closely track WhatsApp related changes, the messaging giant was found to be working on an update to improve the layout of all of its 357 emojis in the 2.18.384 beta update, a couple of days back. While WhatsApp did go ahead and roll out beta version 2.18.384, the update was quickly followed up with another update which reads as version 2.19.21. In addition to the new layout, WhatsApp is also expected to add a new fingerprint and facial recognition-based authentication system with version 2.19.21. 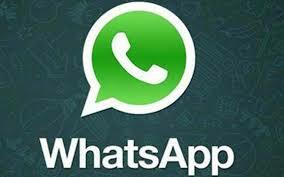 The feature does not work right now but WhatsApp is expected to remotely enable the feature once a stable version of 2.19.21 is ready. Once activated, the feature is expected to function similar to how an app locker works. Anyone opening the app will be asked to scan his/her finger or allow the front-facing camera to authenticate the user. As per an earlier report, WhatsApp has been working on its fingerprint authentication feature since the beginning of the month but the feature isn't quite ready yet. WABetaInfo also states that a bug with version 2.18.384 involving a new sticker search feature, has not been fixed in the latest update. The sticker search feature was introduced in version 2.18.384, but fails to show up once the app is closed. Given WhatsApp's active beta program, it shouldn't be long before we begin to see all these changes being implemented and rolled out in a stable version of the app.